Speaking as a person who thought she was on Facebook but apparently is not, some of this is "foreign" to me--especially the math talk. However, your ending was snappy and true. Every author does need a positive now and then. Thanks for the post, Cathy. I have to admit I don't know exactly what "liking" an author page will do for marketing or sales either. I am just beginning my writing career, and I can vouch for the fact that seeing that I have new "likes" on my Facebook writer's page and my blog, which is brand new (started yesterday, literally) is a huge thrill. Great post, Cathy! I was just thinking about this very same thing the other day. I often click on the "Like" buttons that are on an author's Amazon Book Page for a particular book--especially if we're doing a book tour. Then it dawned on me a couple of days ago, this does nothing for the author's book other than making the page look popular. And it can be bad for you if you really don't like the book and are just trying to help an author out. Amazon uses those Likes to gauge how to market to you. They will send you e-mail advertisements with books they *think* you will enjoy that are similar to the book because you clicked on that Like button. They will also send you advertising when that author releases a new book. They will also show you ads of "recommended" books while you are shopping on Amazon. Amazon considers Likes as permission marketing. So does Liking an Amazon book page or author page really help the author? No, unless you have bought her book and want Amazon to inform you when she releases another so you can purchase it. If you have read the author's book, why not leave a review as well as a Like? That is a lot more helpful, and reviews do help sell books. Also fill out appropriate categories for the book in the "tags" section of the page. This helps optimize the author's book page for the web. It's also important that you "Like" the right version of the book (hardcover, paperback, Kindle) if you really want Amazon to target you correctly. Simply put: Liking does not translate to book sales. But yes, I'm sure a book review carries more weight than the "Like" click. I had a marketing friend say that she always asked people for honest reviews--and if they don't like the book, she still wants the review. Because bad or good, the review will help her rankings! Your marketing friend is brave. I know many authors who are seriously bummed out for days about one bad review. I prefer not to spend my time writing bad reviews because I know how much goes into writing a book. I just review a book when I think it's good. I know that may not be completely helpful (and someone has to leave the bad reviews! ), but that's what I'm comfortable with. Thanks for your excellent advice. I always learn something about writing or marketing or publishing or Liking after reading one of your posts. I have reviewed hundreds of books on various sites--I've made a modest income reviewing books and interviewing authors. But I never realized the impact of clicking on the LIKE button, but I will now. And I LIKE your advice. Interesting info. Pretty sure I've only clicked the "like" button on one author page on Amazon, but I've hit it more often for books. I didn't even know the amazon author pages could be liked! I thought this was only a Facebook thing. Thanks for the heads up! I always click the "like" buttons on author pages even though it's nebulous as to what it actually accomplishes. But it does encourage authors. As Angela said, I always write a review if I enjoy a book, and I don't write anything at all if it's not my cup of tea. When I'm purchasing books, I look at the reviews, rather than the "likes." It's much harder to write a good review and shows the person has at least read part of the book. 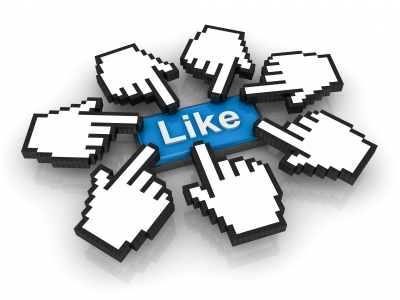 Anyone can "like" a page. As for tags, don't they help in a web search so people can find the books with those tags? That would be more important than likes, I think.